Peter Eves Sutton has returned to Nelson, He left Nelson 25 years ago when he completed his studies as a boarder at Nelson College. 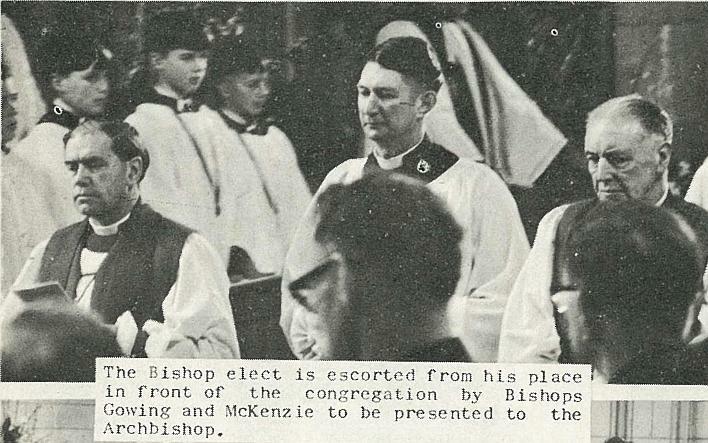 He returned to become Nelson's eighth Bishop and for him, his family, and for those who saw him consecrated in Christ Church Cathedral, his return was a memorable one. From all parts of New Zealand, Bishops of the Church of England assembled in Nelson for the consecration and enthronement ceremonies. These were presided over by the Primate, Archbishop N. A. 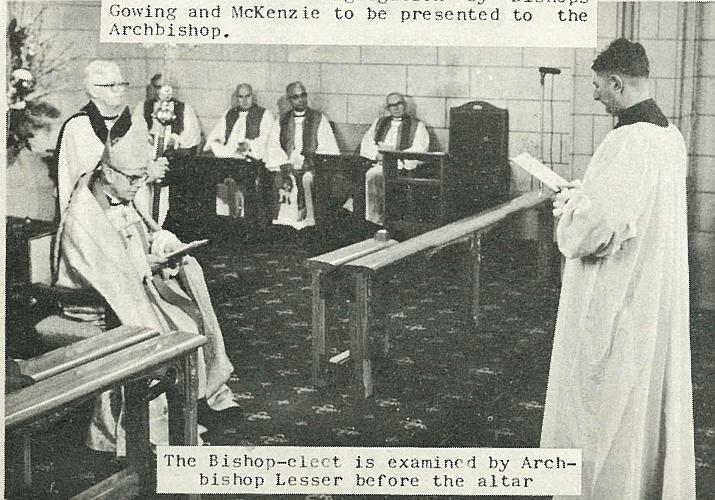 Lesser. 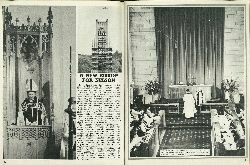 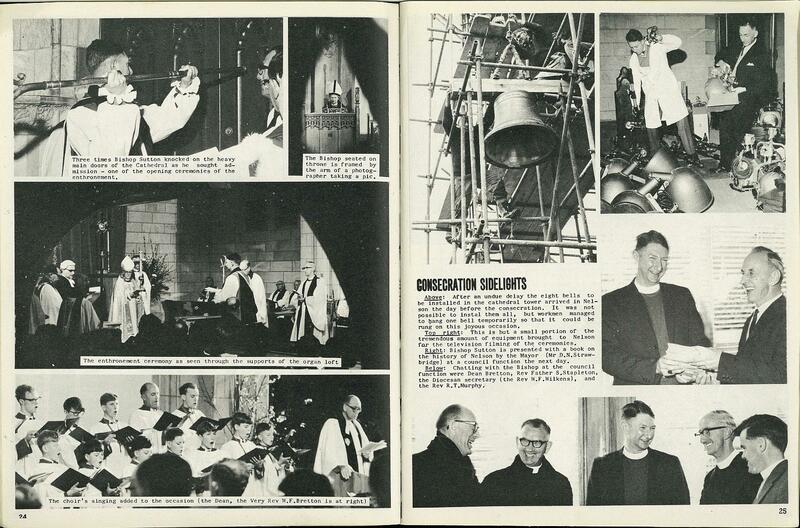 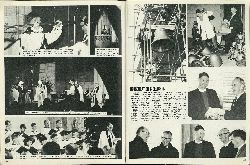 The cathedral was packed by laity and clergy for the impressive ceremonies, and thousands who were not present were also able to participate through the medium of television. 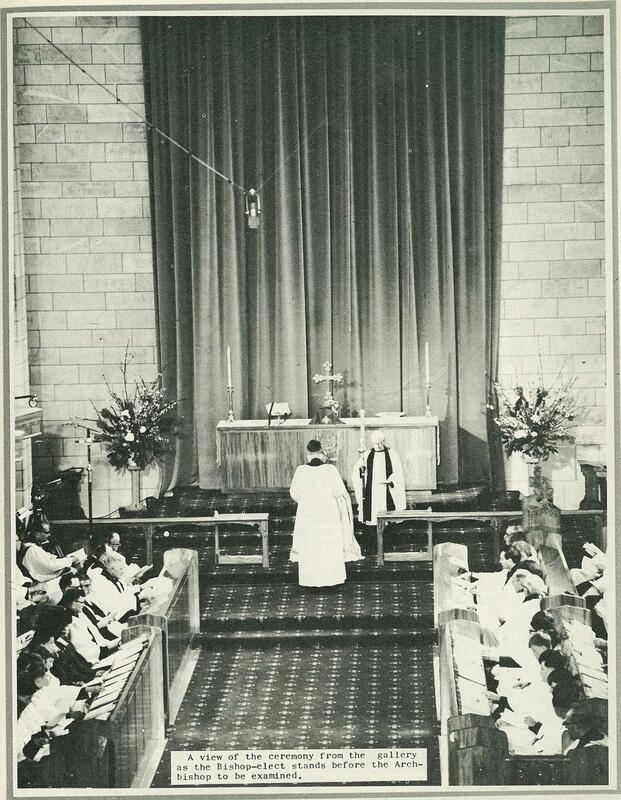 Powerful lights around the sanctuary enhanced the brilliant colours of the scarlet-clad Bishops and choir-members. 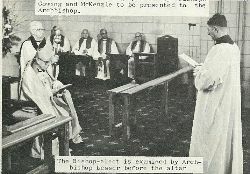 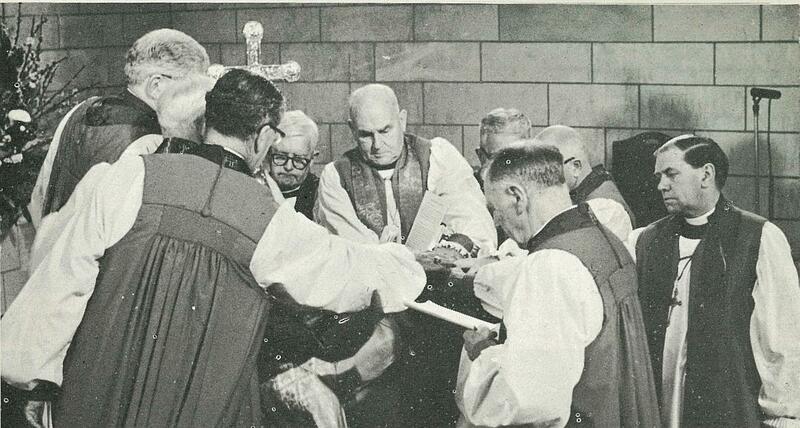 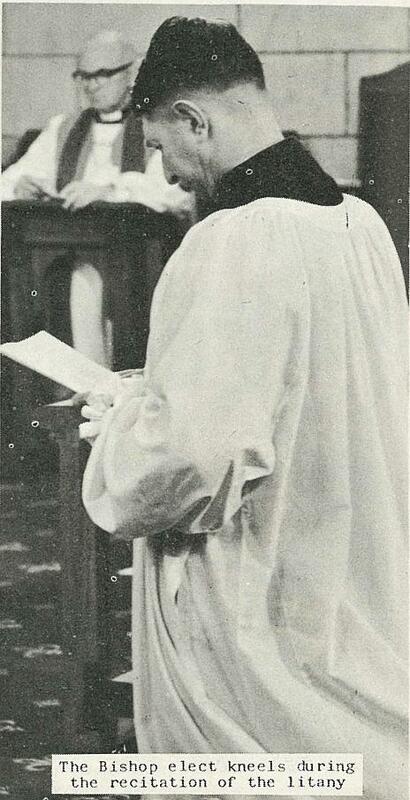 The consecration service lasted nearly two hours, at the end of which the Rt Rev P. E. Sutton, eighth Bishop of Nelson, was led from the cathedral by the hand by Archbishop Lesser. 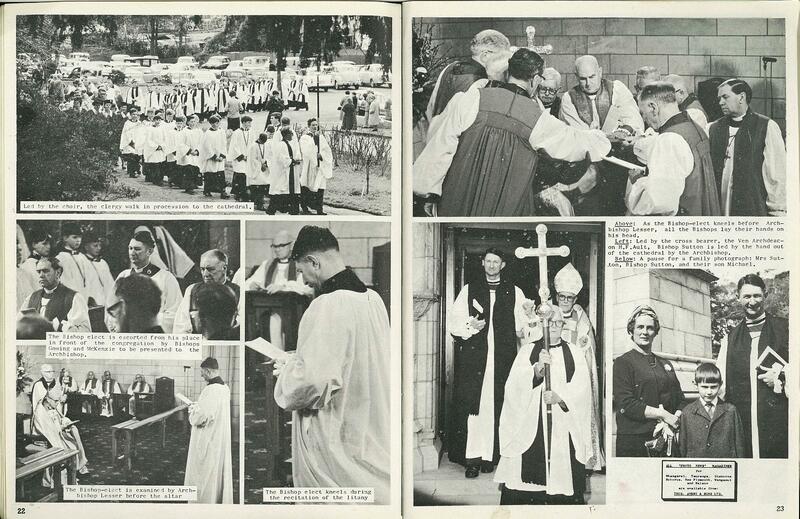 Outside he received the congratulations of the people and clergy and the attentions of photographers, anxious to put on film the final chapter of the morning's great occasion. 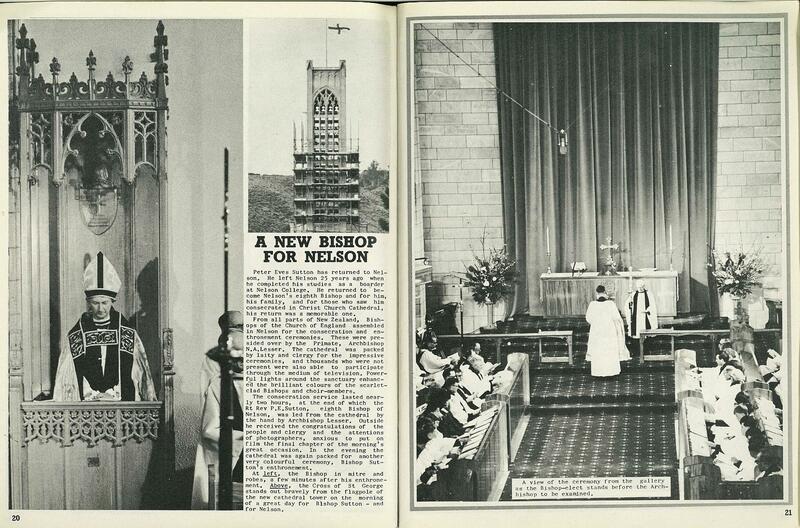 In the evening the cathedral was again packed for another very colourful ceremony, Bishop Sutton's enthronement. 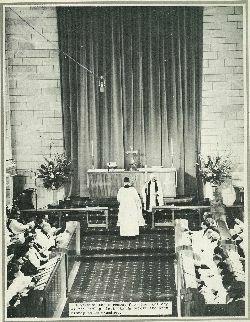 A view of the ceremony from the gallery as the Bishop-elect stands before the Archbishop to be examined. 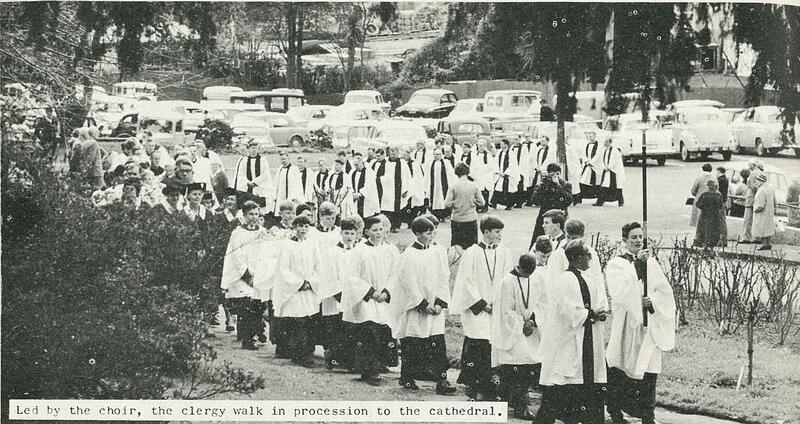 Lei by the choir, the clergy walk in procession to the cathedral. 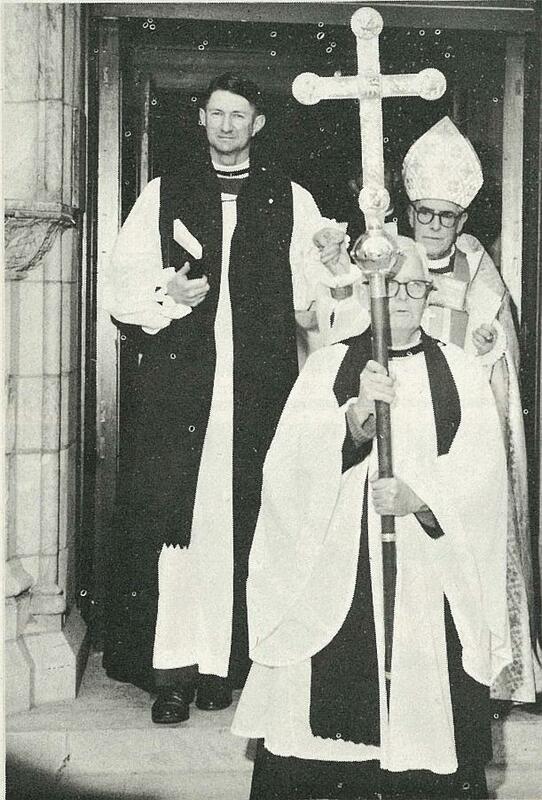 The Bishop elect is escorted from his place in front of the congregation by Bishops Cowing and McKenzie to be presented to the Archbishop. Thos Avery & Sons Ltd. 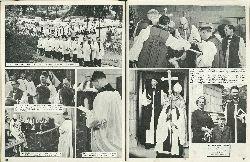 Led by the cross bearer, the Ven Archdeacon H. F. Ault, Bishop Sutton is led by the hand out of the cathedral by the Archbishop. 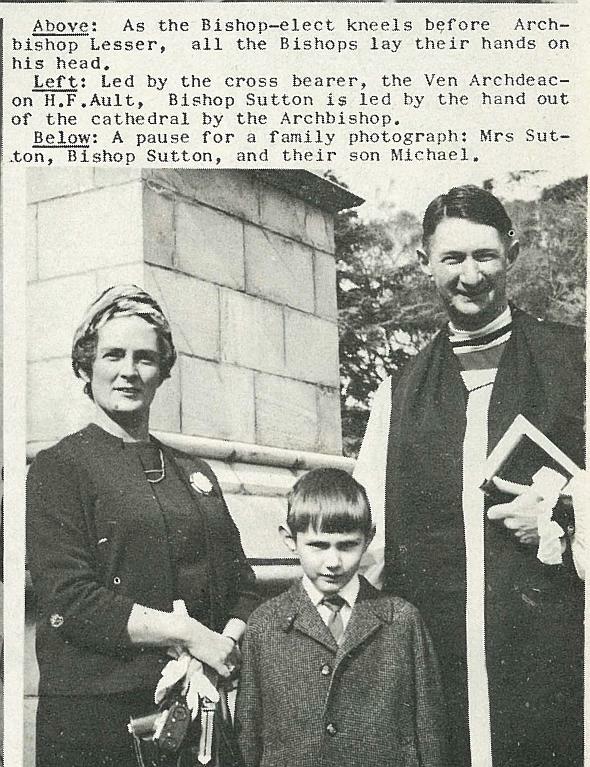 A pause for a family photograph: Mrs Sutton, Bishop Sutton, and their son Michael. 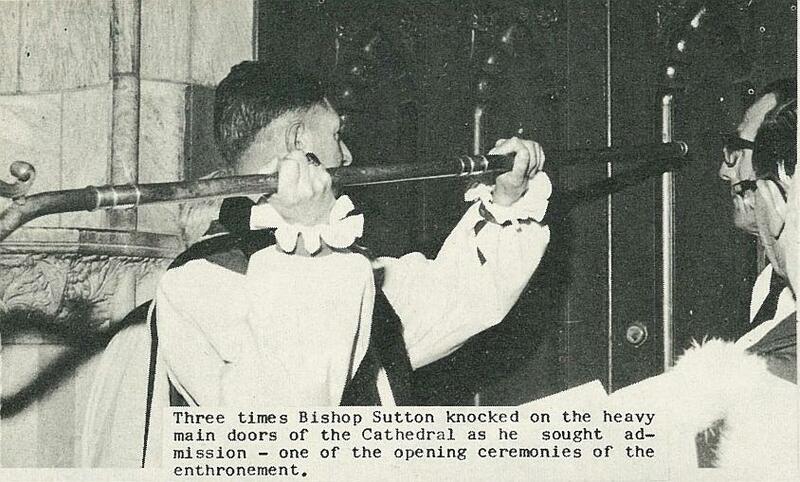 Three times Bishop Sutton knocked on the heavy main doors of the Cathedral as he sought admission – one of the opening ceremonies of the enthronement. 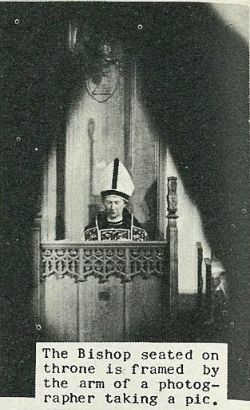 The Bishop seated on throne is framed by the arm of a photographer taking a pic.